Fall is officially here! Well, tomorrow it is. But it feels like fall since a few weeks now and I even turned on my heater already. So by all means, it’s just time for some warm comforting food. And it’s definitely time for the best vegetable that fall has to offer: pumpkin. Well actually it’s about squash today, butternut squash to be precise. But pumpkin is a type of squash anyway. And did you know: squash is considered a fruit, not a vegetable. Now it doesn’t seem too weird anymore, that pumpkin can also be used in sweet dishes, like pumpkin pie, does it? I love all types of squash. With Hokkaido I’d mostly make soup or simply bake it with some herbs. Butternut squash on the other hand is also perfect to be filled with all kinds of goodness. This time I decided to make on of my favorite Persian/ Afghan Rice dishes to stuff it with. It’s the kind of rice that I would order when I’m at an Afghan restaurant, but it’s also one of the rice dishes my Persian grandma makes when I visit her. By the way, the Persian and Afghan cuisines are pretty similar anyway. 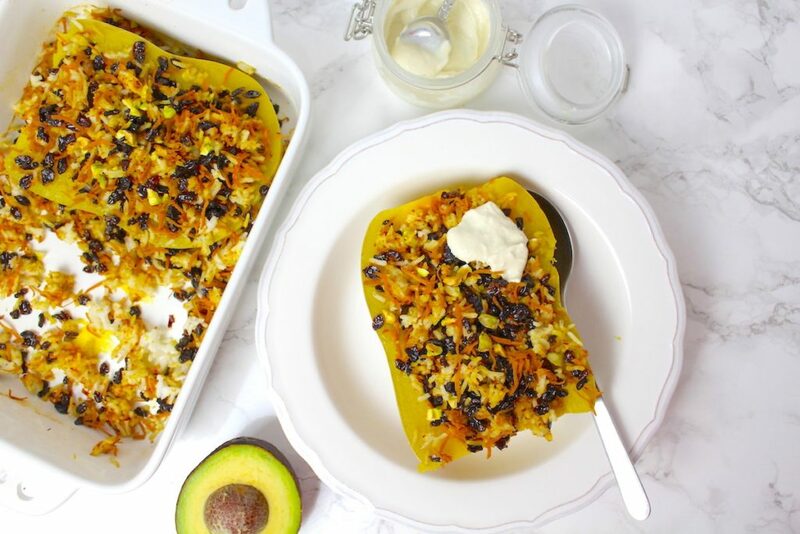 Butternut squash is also perfect in this case because, as its name implies, it has a buttery flavor and therefore goes really well with the rice, which is usually prepared with butter or at least some parts of it. just to give you some inspiration. Anyway, this version is full of goodness, too. I mean: barberries, orange zest, pistachios and saffron – doesn’t this sound like a thousand and one nights? 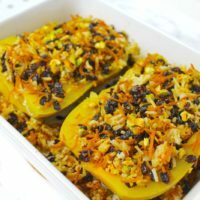 This stuffed butternut squash is inspired by the Persian / Afghan cuisine. The rice dish goes really well with the buttery butternut squash. Serve with cucumber-mint-(soy)yoghurt or sour cream. 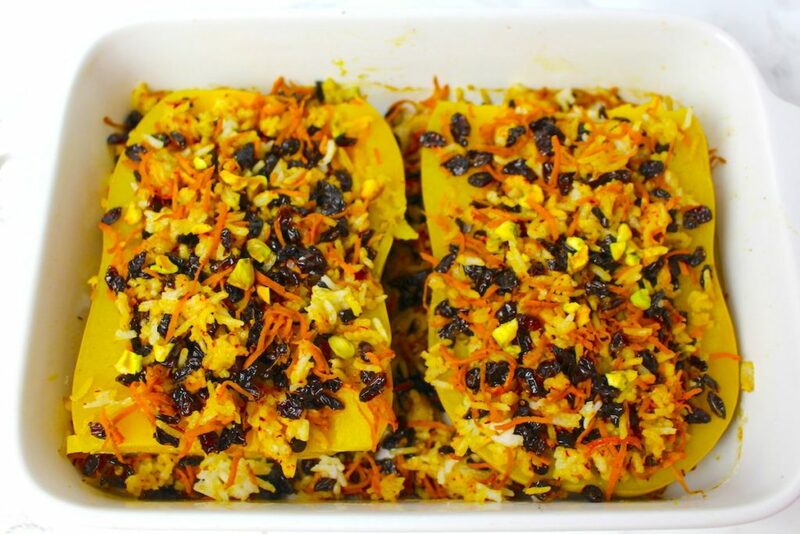 Cut butternut squash lengthways, remove seeds and place, cut side down, in a baking dish. Pour water into the dish around squash halves and bake in the oven for 1 1/4 - 1 1/2 hours, until tender and easily pierced with a fork. Rinse rice thoroughly, then add to a pot, together with 2 cups of water and salt. Bring to a boil, then cover with a tight fitting lid (wrapped in a clean dish towel) and turn the heat down to the lowest setting. Simmer for 15-20 minutes until all the water is absorbed and rice is tender. In a mortar pestle saffron and mix together with 2 tablespoons of water. Fluff rice with a fork and mix a few tablespoons of it with the saffron water. Soak barberries in cold water for 10 minutes. Sauté diced onion (if using) in a pan with some oil (or vegan butter). Drain barberries, add to onions and sauté until they begin to swell. Then add shredded carrots, cumin, cardamom, cinnamon, sugar and orange zest. Roast for a minute or two, stirring occasionally, then remove from heat. Add this mixture to the rice. Taste and adjust seasoning. Remove the squash from the oven. Scoop out some of the flesh, in order to have more space for the stuffing. Either add it to the stuffing mixture or keep for another recipe (like pumpkin pie). 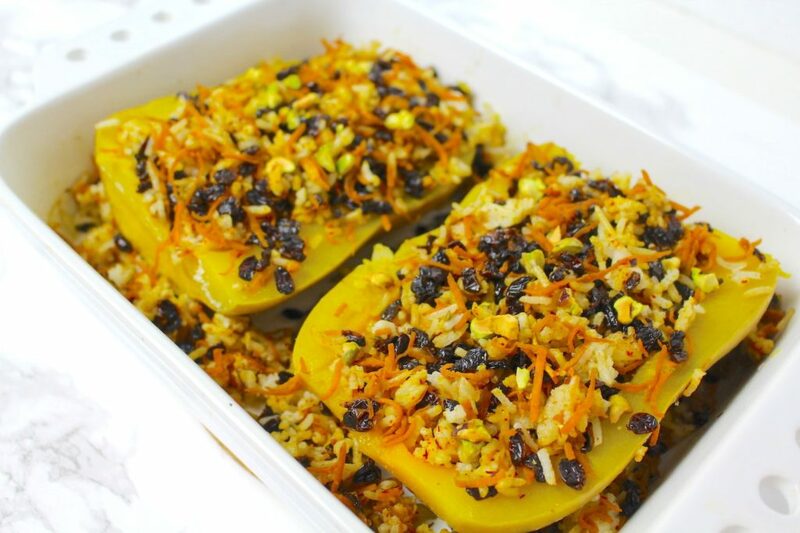 Fill squash halves with rice stuffing and serve right away or keep in the fridge until serving. 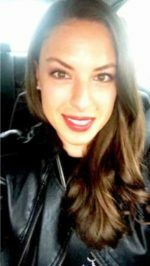 You can reheat everything in the oven for a few minutes. Instead of rice, you could also use quinoa. You can find barberries at a Persian supermarket or online, of course. Serve with Persian cucumber mint yoghurt, sour cream, guacamole or simply with avocado. I hope you love this recipe – please let me know in the comment section below! If you make this butternut squash, make sure to take a photo and share it on my Facebook page or on Instagram, using the hashtag #minamadefood. Oh and don’t forget to tag me (@thisisminamade) so that I can see your creations! Stuffed butternut squash would also make a great (vegan) Thanksgiving or Christmas dish, don’t you think?